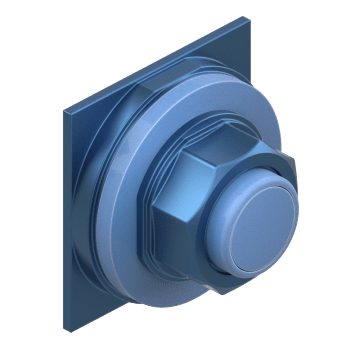 Also known as heavy-duty push buttons due to their large size, these push buttons install into a 30mm diameter opening in a control panel or enclosure. Choose from a variety of operators, which are just the button head, or switches, which are ready-to-install complete units. Install a complete push-button switch assembly in your circuit board or enclosure. 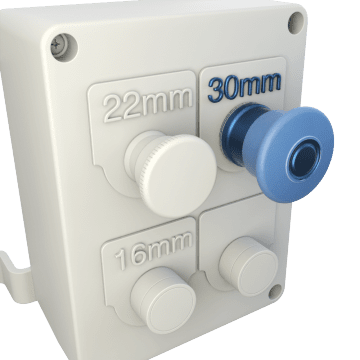 A push-button switch consists of the operator, which is the button head that actuates the circuit and is pushed by the user; the button holder, which secures the button to a surface; and the contact block, which contains the circuit. 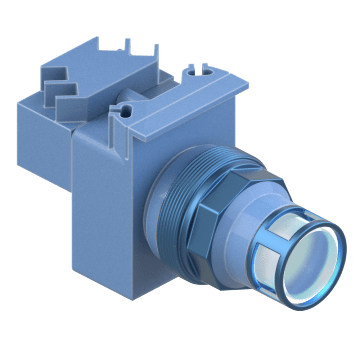 Mount these complete illuminated push-button switch assemblies in your circuit board or an enclosure to receive visual confirmation of machinery status. 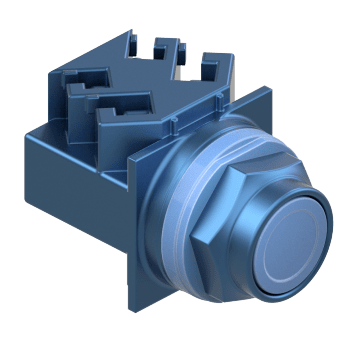 A push-button switch consists of the operator, which is the button head that actuates the circuit and is pushed by the user; the button holder, which secures the button to a surface; the contact block, which contains the circuit; and a lamp module. These complete emergency-stop switches quickly stop a process. 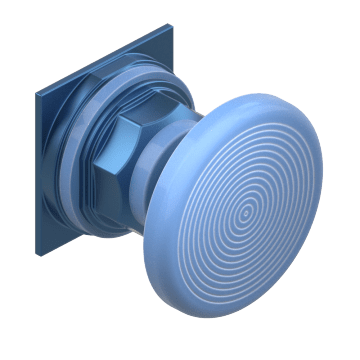 Larger and more distinct than low-profile buttons, the button on an emergency-stop switch is easier to use with gloved hands. 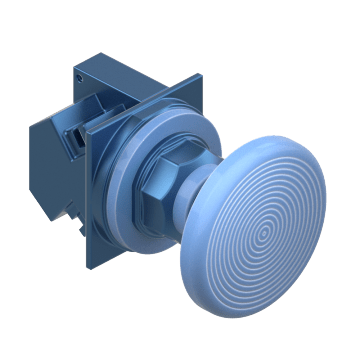 These push-button switches are complete units that are ready to install. Push an operator to actuate a circuit. Combine an operator, which is the button-head portion of a push-button switch, with a button holder and contact block to assemble a complete push-button switch. Choose an illuminated operator if your switch assembly includes a lamp module. The button-head portion of an emergency-stop switch, these operators can be added to a button holder, contact block, and lamp module (if illuminated) to create a complete unit switch. The button head is typically larger than the standard low-profile button for easier grip with gloves.